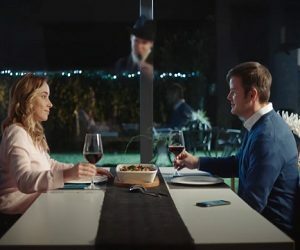 Bosch has released a new commercial highlighting how connectivity makes everyday life easier, turning our devices into companions and assistants. The video, titled “Your Personal Assistants: It’s all about you!”, comes to illustrate this idea by inviting you to imagine you had a personal companion or guardian angel in every sphere of life. From smart home to connected mobility and sensor technology, the short film features how a young couple enjoys all these advancements: Bosch Smart Home solutions, such as heating up the rooms before you come home, creating a pleasant lighting atmosphere or making sure that everything is turned off when leaving home, Bosch coffee machine with Home Connect, which knows what kind of beverage they want and has it ready as soon as they wake up, the Home Connect enabled fridge, which allows them to have full control over their supplies, thanks to its interior cameras, the 360° indoor camera and the Eyes outdoor camera, which allow them to monitor what’s going on at home at all times. The ad also features other solutions, such as automated driving, which allows you to dedicate to other tasks (drinking coffee, write emails or watch streamed videos), Smart City solutions, such as the intermodal transportation platform, which enables you to choose from among different means of transport for the route you want to take, and Bosch Community-based Parking, which eases your burden of searching for a parking spot. The spot, ending with the song “When A Man Loves A Woman” by Africana, is released with the tagline “IoT’s getting personal – turning things into partners”.